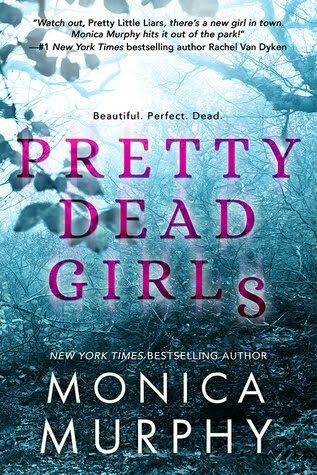 Pretty Dead Girls was a wicked and alluring novel. This book took the mystery and suspense from Pretty Little Liars and the drama and high school atmosphere from Mean Girls to make for one fascinating novel. I really enjoyed the plot of this book! I always enjoy a good mystery novel, and this book definitely had the twists to keep me on the edge of my seat. There were plenty of reveals that really surprised me and had me begging for more. The plot of this book was fast-paced, which definitely kept me entertained throughout the entire novel. The ending of the book felt a bit rushed, but that was my only complaint in regards to the pacing of the novel. There was some romance in this book, which was full of swoons and heart-stopping moments. Some people might feel like the romance took away from the mystery plot, but as a romance lover, I was a huge fan of the romance! This author knows how to write a romance that makes you feel all the feels! I will say that I had a little bit of a hard time getting into the book initially. I am not a huge fan of reading books about cliquey popular girls, so it was a bit of a rough start when the characters were introduced. A lot of the characters were snobby, entitled, narcissistic, and just mean. I was happy that a lot of the characters, especially Penelope had positive growth throughout the novel. Penelope turned into a character that actually cared for other and realized how important it is to be kind to others. I ended the book liking the characters a lot more than I did in the beginning. Overall, this was definitely a page-turning adventure! If you looking for a new suspenseful YA novel, then I would recommend checking this book out!